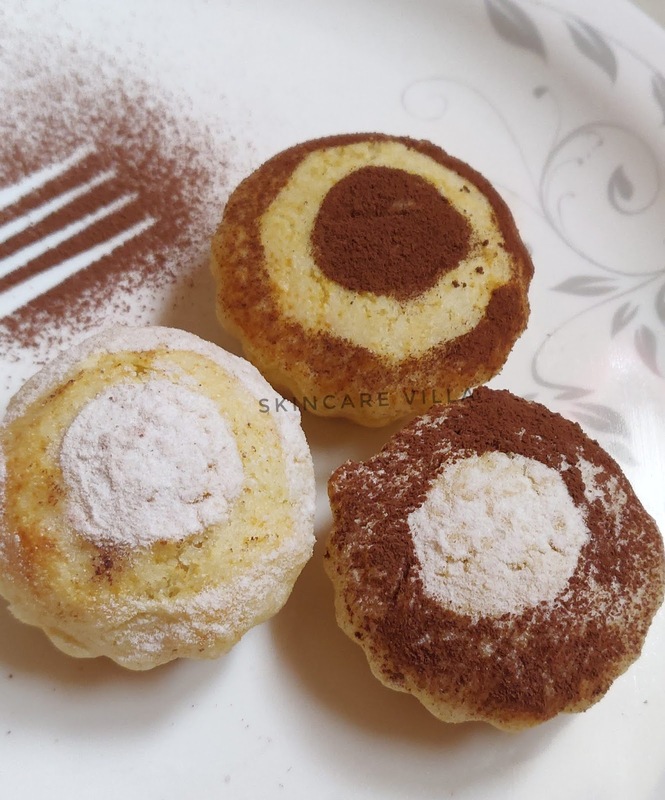 Many of you asked me recipe of semolina muffins I made yesterday. I made them on the go without any measurements and they came out nicely, although today I tried with measurements so that I could write this post. I made sweet muffins which were more of a twisted version of @alisha_o408 Alisha's Rasoi Recipe Of Vanilla Choco Chip cake. Moreover I made them in cooker so I don't know how they will fair in microwave or oven but they won't take much time to cook hardly 5 minutes 🙈, also when using a microwave use the microwave safe moulds. 1) Mix condensed milk, and water together. Don't add much water else batter will be runny. 3) Add the oil and mix well. Mix in all purpose flour if you feel the batter is runny. 2 teaspoon is enough for this recipe. 4) Keep aside for 5-7 minutes. 5) Preheat a small cooker for 5-7 minutes on medium flame by removing the ring and whistle. 6) Line the muffin moulds with oil first and then drizzle the flour onto it. 7) Seive in baking soda and baking powder and mix well. 10) Heat on medium flame for 10-15 minutes. Check the muffins by inserting a tooth pick.